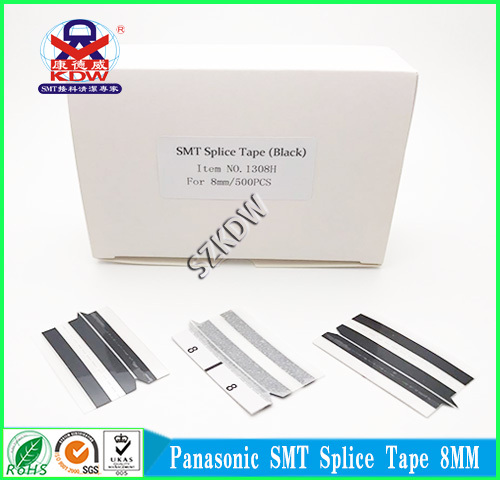 SMT-1308, 8mm SMT Special Splice Tape for KME machines. KME CM402 SMT Splice Tape features aims to provide durable and precise joint linking results. Triangular arrow design engineered for convenient positioning and quick joint connection. This SMT Special Splice Tape uses a strong adhesive material to ensure durability and achieve reliable joint connection. 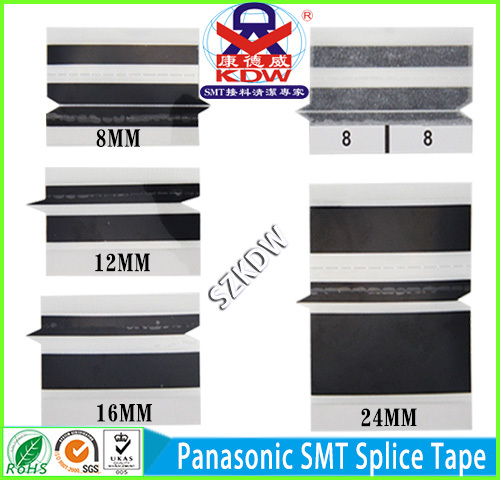 13 series Panasonic SMT Splice Tape is manufactured by Shenzhen Kangde Wei Electronics Co., Ltd. KDW is a well-known brand and manufacturer of SMT splice products. Looking for ideal Special Reel Tape Connector Manufacturer & supplier ? We have a wide selection at great prices to help you get creative. All the KME CM402 Reel Splice Tape are quality guaranteed. We are China Origin Factory of KME NPM Splice Tape. If you have any question, please feel free to contact us.